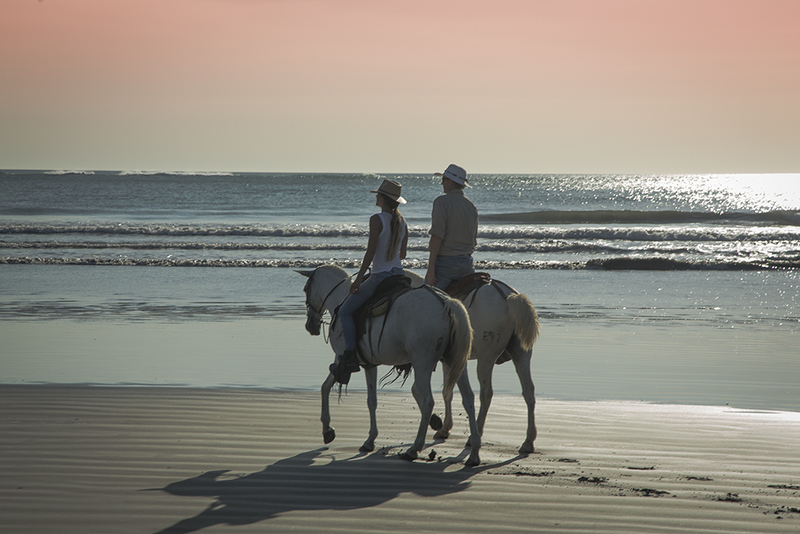 Come join us and experience first hand, the magic and beauty of the "old Costa Rica" through a working coastal ranch, accompanied by an authentic sabanero (traditional cowboy), a bilingual guide and your trustworthy and happy horse. See and learn about the culture, flora and fauna and the regions rural and farming way of life . We help tailor and adapt your tour based on your experience and abilities to safely get you to ride through different settings along pristine beaches, grasslands, and hilltops with dramatic views. 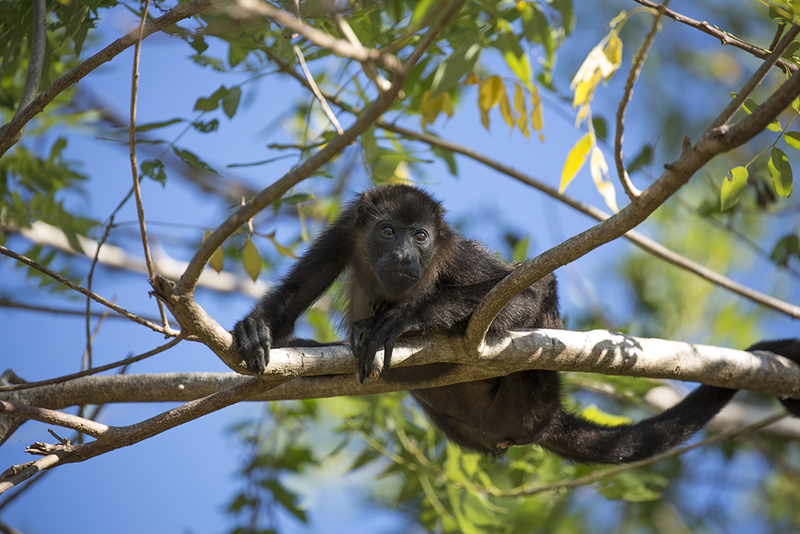 It is not uncommon to see monkeys, crocodiles, birds, reptiles and much much more. Hacienda Ario is founded on a commitment to sustainable land stewardship and conservation for future generations where rural, healthy, outdoor living, close to nature and horses are an integral part of life . Hacienda Ario is located near the the fishing town of Manzanillo, just north of the beach town of Santa Teresa. Private Horse Tour - This is the best way to go! An opportunity to personally experience Costa Rica and interact in a more personal way with your guides and surroundings. Group Horse Tour - Arío Tours will group together different guests into one single group with a maximum number of riders 8-10 people. Solo Rider- If you are an experienced rider and have no wish to be in a group tour, we can cater a private tour just for you. You will have the opportunity to connect with your cowboy and horse and ride along incredible trails in the farm. Long pants, covered shoes, sunscreen, hat and extra cash for a beverage along the way. Join us and experience first hand what it is to be a cowboy or “sabanero" on a working cattle ranch. 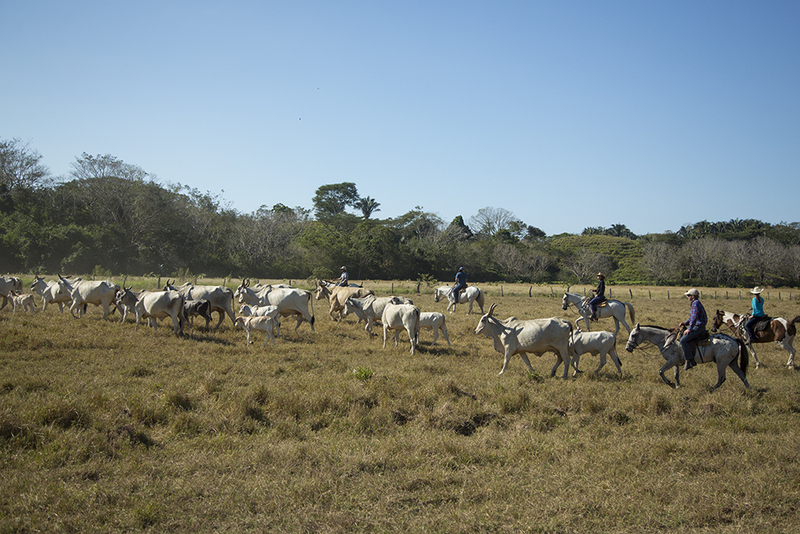 You will participate in a cattle round up in one of the Nicoya Peninsula’s most spectacular landscapes on a vast working ranch on the pacific coast. Undoubtedly, will be memorable life experience. Coffee and snacks offered upon arrival. Magical picnic spots under the trees with spectacular views of the Pacific Coast, perfect setting to indulge. Contact us for details and custom designed rides. Experience the most beautiful landscapes on the Nicoya Peninsula just minutes away from Santa Teresa Beach. Riding on a desserted beach, mountains and rivers. over 4 miles of beach ride on a private farm. We love our horses! We run tours in the morning and the afternoon, please contact us with at least 24 hr notice. Tell us a little bit about your trip, your experience and how many people will be with you and we can customize a horseback riding adventure catered just for you. When would you like to go horseback riding?